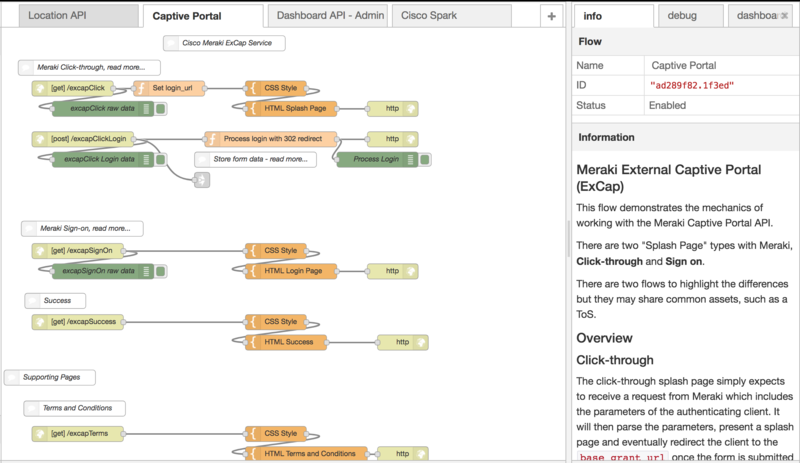 A collection of flows to demonstrate several Cisco APIs for Meraki and Spark. 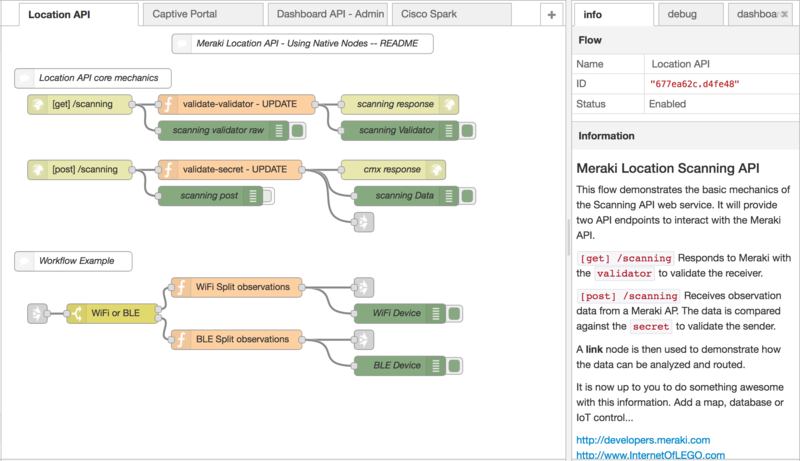 Each flow demonstrates the core mechanics of the API, which is ideal for beginning any project. 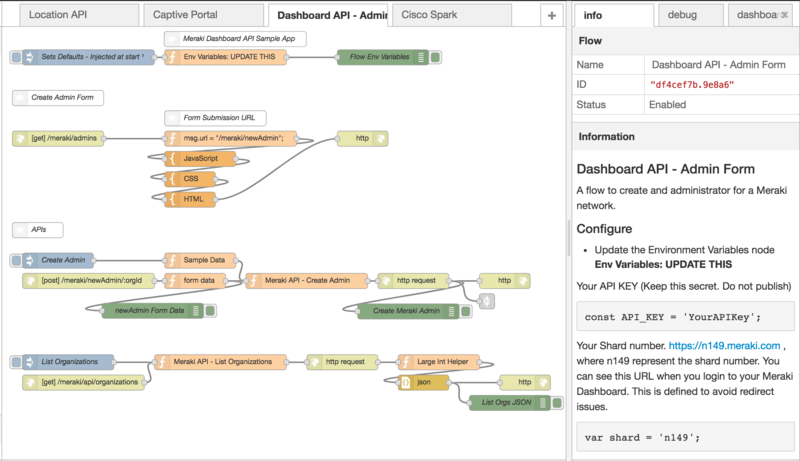 The Info window for each flow will include a more detail overview along with instructions for configurations. 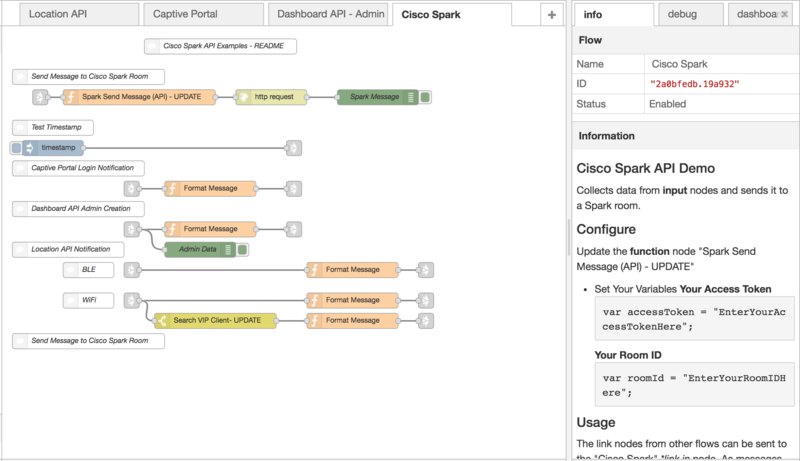 It is expected that you have a Cisco Meraki network and a Cisco Spark developer account to make use of these flows.